Ballet dancers that inspire me …. There are many dancers that have inspired me to analyse my technique and strive to improve. Of obvious gravitas are those who paved the way for the talent we see today; from Anna Pavlova to Maya Plisetskaya these are the names upon which ballet as an art is built upon, along with the ground-breaking choreographers and teachers of their times (Petipa, Vaganova, etc). Continuing their great work are the modern day dancers who have moved the art of performance to new heights, breaking boundaries and challenging the way ballet is presented. I start my list with Natalia Osipova. Russian-born Osipova trained here at the Bolshoi Ballet Academy and danced with the Bolshoi until she moved to the Royal Ballet in 2013. She is also performing as a guest artist with companies across the world and is experimenting with contemporary dance. Osipova is not like any other dancer; breathtaking in her fearless approach to telling a story. Her technique is so strong that she doesn’t need to think about it; putting all her energy into her performance. Here is her biography on the Royal Ballet website. Next on my list is Evgenia Obraztsova. Dancing with the Bolshoi, she is another Russian dancer with such fluid technique that she is just a joy to watch in any role. 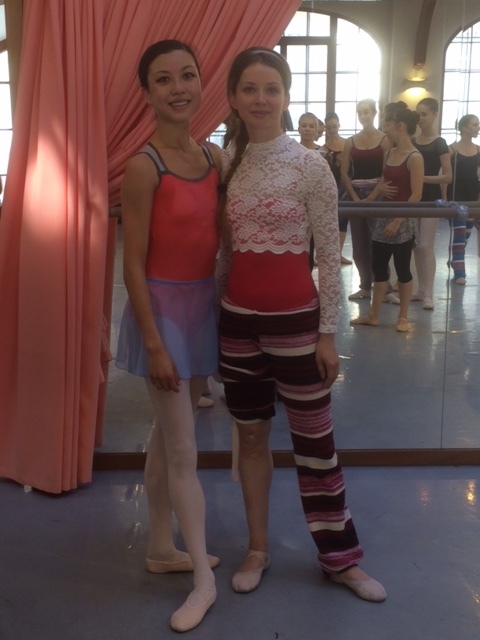 I was fortunate enough to be taught by her at the Prague Ballet Masterclasses in 2015. Alicia Amatriain is a Spanish Principal dancer with Stuttgart Ballet. I have also been fortunate enough to be taught by her at the Prague International Masterclasses in 2014. She has a really cool, rebellious personality and this transcends into her approach to dance. She is unafraid, winning many critics’ choice and outstanding dancer awards. I’ve already mentioned Cuban dancer Carlos Acosta. I admire his perfect balance of power and agility and the fact that he’s not afraid to express himself. He’s also super charismatic. He’s balanced his successful career as a guest principal with the Royal Ballet and leading companies across the world, with roles as a choreographer, film and TV actor and writer, even penning his own autobiography about his amazing journey from Havana to the world’s most prominent theatres. He has recently announced his final performances dancing classical ballet will take place in late 2016 at the Royal Albert Hall in London. Here is his biography from his official website. My favourite performances of hers are Elite Syncopations and her amazing final performance in Sir Kenneth MacMillan’s Song of the Earth. Here is her biography on the Royal Ballet website. Sylvie Guillem is another heroine of mine. A French dancer, initially dancing with Paris Opera Ballet before moving to the Royal Ballet and then reaching never-before-considered ideals in contemporary. She toured with her final programme, Life in Progress, before retiring in 2015. Her amazing body has enabled her to really push boundaries along with her intelligence and strength of mind, which has allowed her to direct her own career, an unusual position for a dancer in a world where artistic directors and choreographers generally make the rules! Here is Sarah Crompton’s article on Guillem in June 2015, following the announcement of her retirement. He is an inspiration to watch. I saw him close up when he performed with Ekaterina Krysanova in the Sleeping Beauty pas de deux in the closing gala of the Tanzolymp 2015 competition which I performed in. 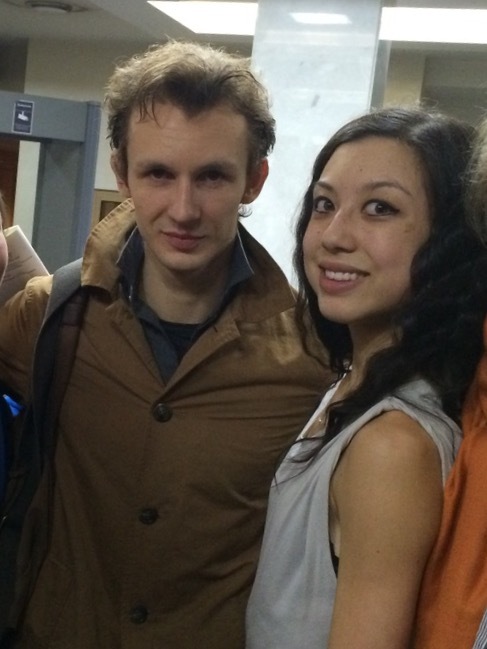 I also met him after his performance in Lady of the Camellias in 2015. Last on my list is Tamara Rojo, Artistic Director and lead Principal of English National Ballet but also a former Principal at the Royal Ballet. I have actually taken class with Tamara on two occasions – and I had to pinch myself to make sure I really was training in the same class as her! Of course, there are many other dancers that I admire, but these are the ones that really inspire me. My influences change as I develop as a dancer, understand more about my own strengths and weaknesses and have the opportunity to watch more companies and dancers perform. So this is my 2016 list, and I’m sure it will change and evolve over time! If you’d like to follow my career as a professional classical dancer, go over to my Instagram page.